Now it is time to complete paperwork and other formalities. Read the paperwork! Don't take anybody's word for anything. Make sure all the blanks in the contract are filled in. Insist on having a copy of each document you are signing. Make sure you're paying what you agreed to pay in your earlier negotiations. And make sure you're not paying for anything you didn't agree to buy. Once you're certain both the motorcycle and the paperwork are in order, you're ready to sign the contracts and drive away. Ask to be shown the internal PDI Certificate for the chosen piece. 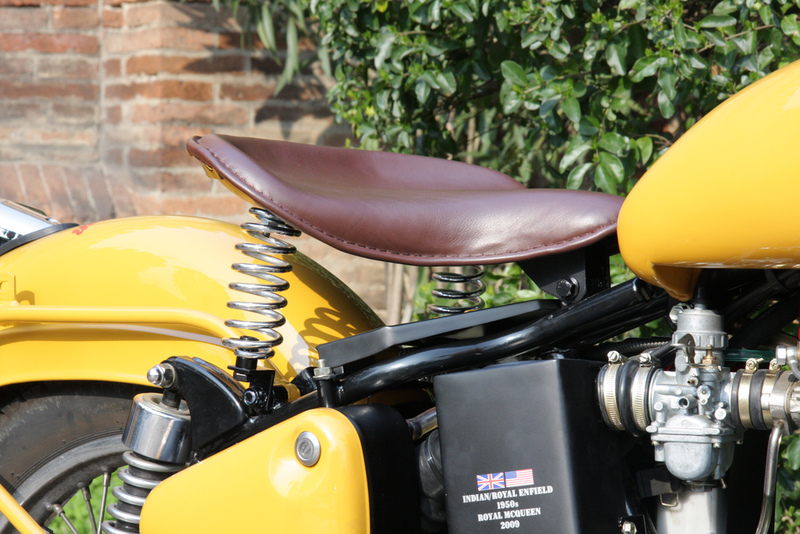 Check Chassis number and Engine number of motorcycle matches with the Invoice and or Chalaan. Check the Chassis number and Engine number are properly endorsed in the Registration papers and Insurance Papers Collect warranty card of the motorcycle. Check warranty details are properly endorsed and ensure that all free service coupons are in date. Collect warranty cards of battery and all accessories. Collect Pollution certificate. This is valid for one year. Check all papers once again. Ensure that invoice, sale certificate, receipt, Registration, Pollution certificate, Warranty card, Battery warranty card and warranty card of accessories are in your possession. Check out from the Owners Handbook what all items are FOC with the motorcycle, such as Toolkit (# of pieces), and spare fuses/lamps, First Aid Kit etc. 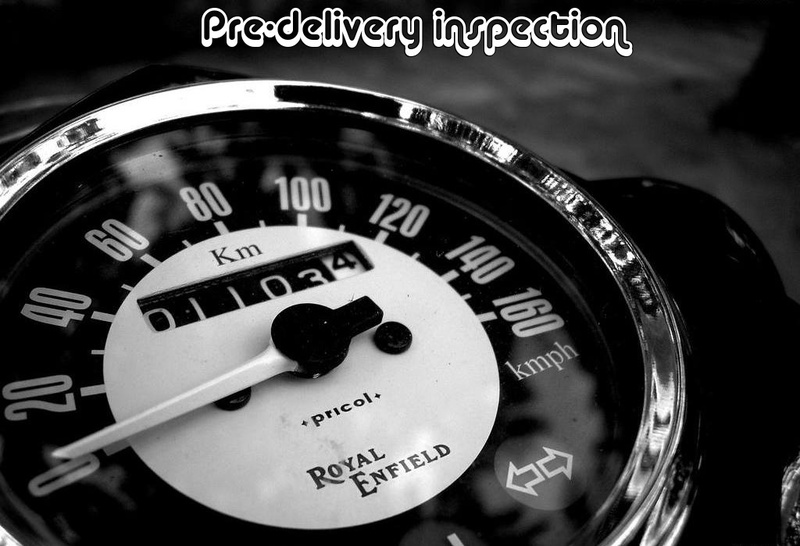 If opted for additional warranty (on payment of specified price) ensures that motorcycle details are endorsed correctly in the additional warranty. Ensure/Demand that the motorcycle has at least 2 liter of Petrol in it, asis provided for by the OEM. Check pressure of air in all tyres and should be as per the recommended pressure. 1. Check the motorcycle manufacturing month/year. 2. In case of extended warranty check its coverage and deductibles. Also check whether this warranty is transferable to a new owner in case you need to sell your motorcycle while this warranty is still in force. 3. Get all promises and commitment from the dealership in writing. 4. I repeat here again remain very friendly and decent while at the motorcycle dealership, as you are going to visit them many times in near future. Make some friends over there. 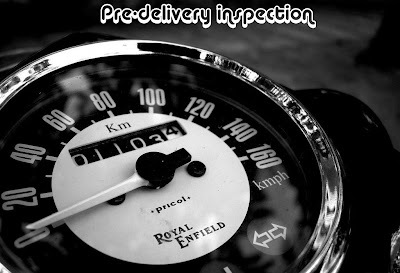 You may feel at the top of the world while taking the delivery of your motorcycle but for the dealership yours is just one out of half a dozen deliveries they are going to make on that particular day. 6. Any gadgets such as fog lamps, High mast break light, Digital clock, RPM meter etc. 2. Working on Alloy wheels and Tubeless tires is a skilled job and needs specialized tools, which is difficult to find at any roadside garage. If at all you decide to change tires/wheels then check with the dealership and insurance company regarding warranty and insurance. Get it endorsed on your motorcycle documents; RTO also needs to know about such modifications. Also get the tires changed at the dealership as they are better equipped to handle alignments and balancing. 3. Central locking: Its effectiveness is a debatable issue. Simple mechanical type gadgets are much better and cheaper too. If offered by the motorcycle maker as an option you may consider it. In many after market locking systems (even offered by dealerships) need altering motorcycle wirings, drilling body parts etc. Which is again not good for your motorcycle warranty, insurance claims. 4. Teflon coating is also a debatable issue; by and large it is observed that it is pretty useless. If dealership is offering it as a freebie it is better to decline it and convert it into some cash discount. Altering wiring will void your warranty and may cause serious malfunction in future and insurance claims will be refused. 5. for all other accessories check with the dealership and Insurance Company about their impact on warranty and insurance claim. awesome blog awesome tips !! I am getting My TBTS in next 2 weeks. Thanks for the Pointers Dear. we are glad that you people liked the article. thanks all !! keep coming back here !! In the add-ons, is the exhaust also included? am gana get my classic 350 delivery next month and am planning to change the stock exhaust. So can you please advice me, will there be any harm to the engine for changing the exhaust on the first day? or should i wait for 1000km or so? will the exhaust affect the insurance, warranty etc? Please reply! changing exhaust wont do any harm to classic 350 however I'd recommend you to opt for after market silencer once you've completed 1500 kms . Dude .. I am getting my C5 Chrome this Thursday too.. Congratz and have a safe journey dude !! Dude.. I am picking my new C5 Chrome this Thursday too.. Enjoy and Happy / Safe riding !! Bro... cant express how amazingly helpful this has been. It feels so bad that I can thank you only. Which city you are in? Can I take your help while I pick up my TB350?